Oh my....there's just nothing quite like a proposal by the sea. 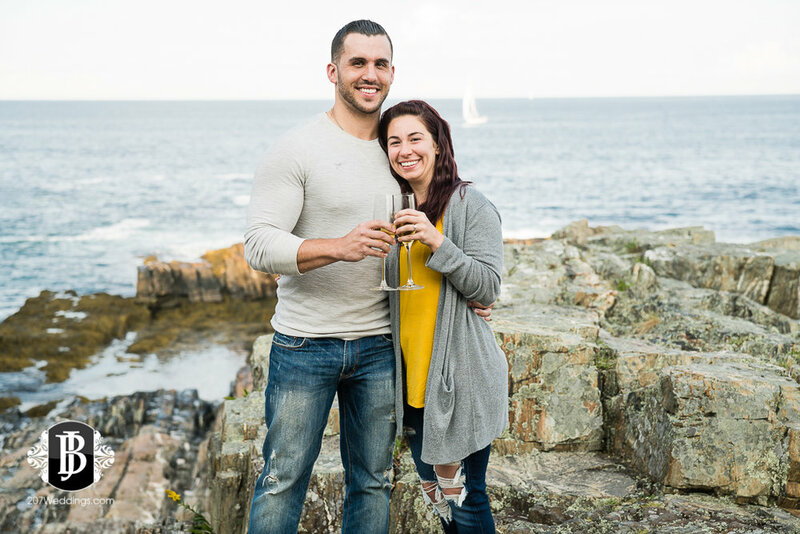 This was such a beautiful shoot - the weather was perfect, the lighting was perfect, and there was even champagne delivered to the newly engaged couple by the amazing staff at the Cliff House Maine resort in Ogunquit, Maine! I had an absolute blast with Joe and Toni for their surprise proposal photo session, and I hope you enjoy this sneak peek!